My beautiful mother died suddenly, a year ago, March 14th. This is the tribute I wrote for her memorial. At the end is a link to the video my son made of her life in pictures. LaDonna Fae Terry was born August 29th 1935 in Wendell Idaho. Her parents, Jack and LeRue Smith had four daughters, of which mom was the youngest: Betty, LeRay, Beverly and LaDonna. Mom was the boy my grandpa always wanted and she loved her daddy. The locals often called her “Little Jack,” and her family called her “Donnie.” They lived on a farm in Wendell and Mom loved to play clarinet in the high school marching band. 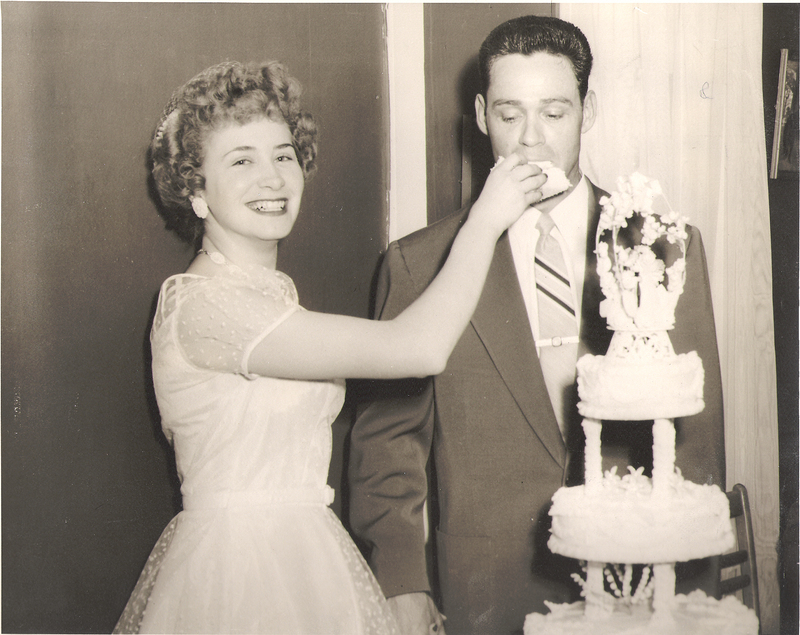 Mom married Tom Terry in April of 1954. He had one son from a previous marriage, our beloved half-brother Jim Terry, and although we didn’t meet him until about 17 years ago, he has been a wonderful addition to our family. Dad was a produce buyer and he and mom traveled to follow the crops. In 1956, they were in Oregon when Thomas Terry III was born, then in 1959 they were in Burley, Idaho when I was born, and they were in Colorado when Skye was born in 1964. The family finally settled in California when Dad began working for Safeway in their Produce Division. Upon Dad’s retirement they moved to Reno in 1984. Mom and dad briefly moved to Idaho where they were living when Dad passed away in 2003, and then mom moved back to Reno. At that point Mom thought her life was over. But in 2006 she met Carl Sanford and she and Carl traveled the world together, visiting places like Greece, Spain, England, The Bahamas, Hawaii and Mexico. I had lunch with Mom every week and she never failed to say, “How did I get so lucky to have two men who loved me so much. Carl is such a good man and I’m so happy.” Our family is very thankful for Carl, who made Mom’s last eight years such a joy and delight. That’s the overview; mom died peacefully in her sleep Friday March 14 and it was a devastating shock to us all. To help you understand why we miss her so, I’ve chosen four words to describe my mom. First: Mom had Style! You’ll see in the slideshow that Mom loved to dress up. 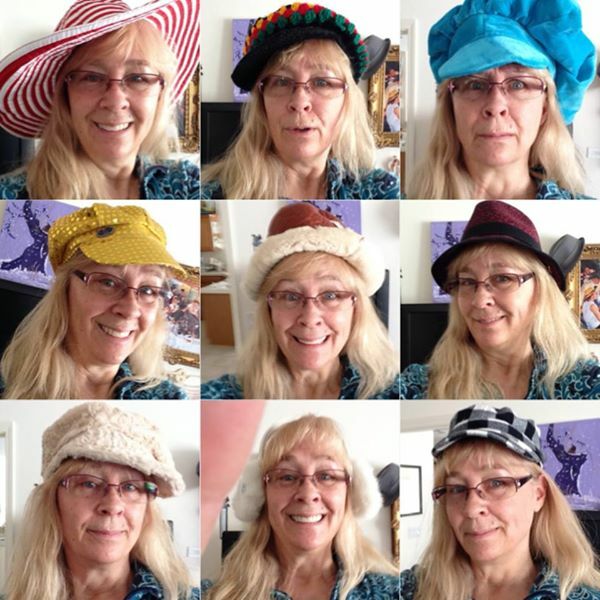 In the 60′s she never left the house without matching hat, shoes, and purses. In the 70′s she was one mod mama! In the eighties and nineties, she found sequins and loved to sparkle. I always called her “my little magpie” because she loved shiny things. When she met Carl, her style relaxed but she still never went anywhere without a wrist full of colorful bracelets and her fingers covered in huge rings. The second word is Fearlessness! While dad had his career, mom also worked. It was not normal for women in her day, but she worked as a telephone operator. Then with no schooling, she worked as a nurse and even got to help deliver twins. Again, with no formal education, she worked as a dental assistant in both Colorado and California. Then she went to beauty school and eventually owned shops in both California and Reno. Somewhere in there, she was a real-estate agent. She wasn’t afraid to try anything. The third word I’ve chosen is Fun! Mom told countless stories of the various shenanigans they got into as kids, including how she and her sister Bev, scheduled several dates a half-hour apart and watched from across the street as one sad suitor after another drove away from their house rejected. And, she was always up for a spontaneous road trip to Idaho and loved to play with her children and grandchildren. Mom loved pranks and it was not unusual for her to turn around and be wearing something like this, or this or this (at this point I put on some or her more outrageous hats). I remember the last road trip we took in November. Every now and then she’d turn to me and be wearing these, or these, or these (Here I put on some of her hysterical sunglasses). She was full of whimsy. The last word I’ve chosen, though I could go on for hours – and I’m hoping some of you will share your stories – is Energetic! Mom had more energy than any person I have ever met. When we were growing up, she played the Banjo and took us to pizza parlors and parades to watch her play. She never really stopped moving, even when she was sitting. As you can tell, she loved to paint (The room was lined with her paintings). When she wasn’t painting, she was embroidering dish towels, or making colorful bracelets. I have hundreds of these, as do all of my siblings and her sister and her friends. I’ve brought a stack of bracelets and put them out for each of you to take some as a reminder to have style, fun, to be fearless and keep moving.